Usikker wrote: Is it possible to modify the obd plug to scan the m-can ? Is there a pin layout drawing somwhere ? I am assuming that it will work if I make a cable that connect the usual can-pins on the dongle, to the m-can pins in the obd-connector. I was planning to make a splitter, and use 2 dongles, but I haven't gotten to it yet. ayokyun wrote: Thank you for support Ray, but it seems only LDC is working and others are not. I looked at the soulspy.log files (and the screenshots): I think the Ray EV was not turned fully on. For logging data from the Kia Soul EV, either the car needs to be ready to drive; or L1 charging; when connecting the app to the dongle. Also note that the "Auto connect" feature is broken, so please disable that. I believe it causes weird crashes, as well as weird log-files. I have a '16 and, with the app, following the procedure I get the exact same readings as in the Ray EV screenshots. Connected to the dongle. Dongle lights show running scans. I get no vehicle info, battery or advisor info. All blank. I have used this dongle with torquepro on this vehicle and it has successfully connected to the ecu in the past. What can I be doing wrong? Any help appreciated. Is your car a Soul or a Ray? I can reproduce the symptoms in my '15 Soul by not pressing the brake pedal, when turning on the car. When brake pedal not pressed, the car is not fully on, and all CAN-requests time out. No data displayed. When I then press the brake pedal, and press the car 'on' button again, the dongle lights starts blinking faster (no timeouts), an data appears on the views, when I switch view. If you still see the problem, disable auto-connect, kill the app or restart the phone, and try again. If still no data, please send the soulspy log file: henrik.scheel o spjeldager.dk. Sorry my mistake. It's working well on Ray. Are we sure that there is only 100 or 101 bat.cell in the 30kWh 2018 ? 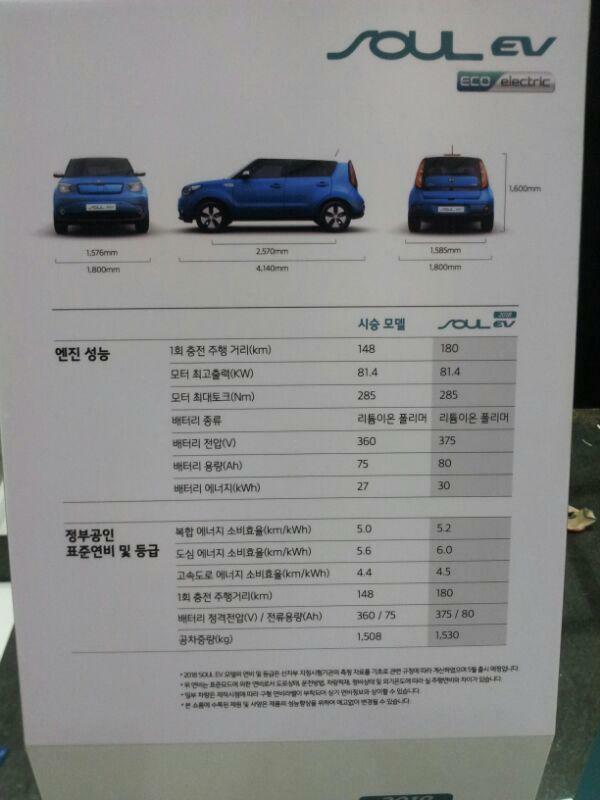 The 2018 Soul EV has 100 cell pairs. Your post above has two highlighted in red. Which one is the 'follower'? The Wikipedia article is guessing that the " the usable window of cell capacity improved from 37,5 Ah to 40 Ah out of 42,36 Ah." I think it is very unlikely that they decreased the percentage of the battery used as a buffer, hence I much prefer my guess. We don't know the total capacity of the battery yet, nor the size of the buffer lost before loss of usable capacity occurs, which is why I don't add the extra gauges that show the 110% SOH etc to my Torque files.